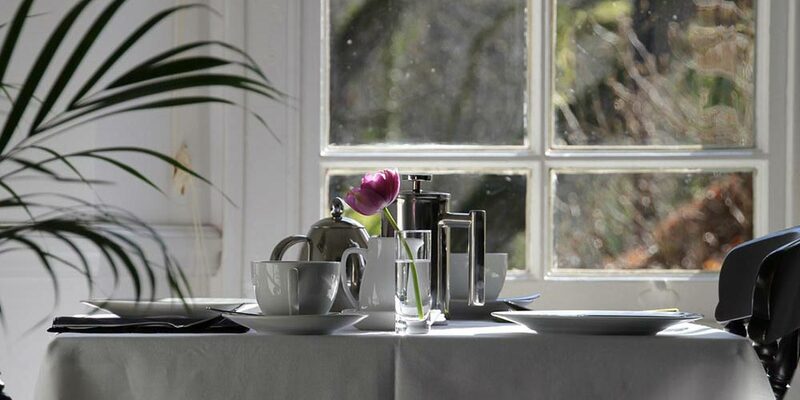 Our B&B is situated on the main street of Betws y Coed, just 5 minutes walking distance of all of the village’s restaurants, cafes, bars and shops. 7 bedrooms, all freshly decorated with comfortable beds, en-suite shower rooms and views of the majestic Gwydyr Forest which surrounds the village. We can accommodate individual travellers, couples, families and small groups. All our bedrooms have flat-screen TVs, generous tea &coffee trays, luxury toiletries and hairdryers. Free and fast WiFi throughout. Comfortable lounge where you can meet and relax at the end of the day or before venturing out. Yes, our delicious Welsh breakfast is freshly prepared using locally produced bacon, sausages and eggs; along with a generous buffet (we can also cater for special diets - please just let us know). Our B&B is only a 20 minute drive to two of Snowdon’s main footpaths, the PYG Track and Miners Path, and about 35 minutes to Llanberis for the Llanberis Path and Snowdon Mountain Railway. Why not save time and hassle parking by taking the Sherpa Bus to Snowdon (only 5 mins walk from The Ferns)? We have private parking for up to 5 cars (and there is further free parking on the street in front of the house). 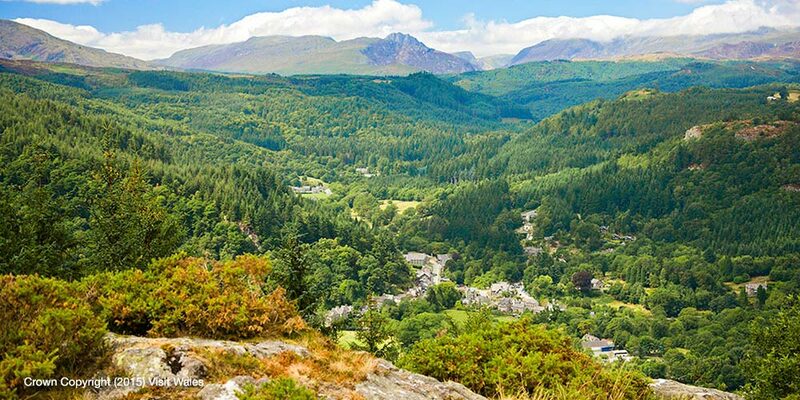 Can you get to Betws-y-Coed by train? As well as the many low-level and mountain walks in Snowdonia, we have lovely walks for every ability, straight from the house. As keen walkers ourselves we can offer you tips and suggestions to make best use of your time with us. What else is there to do in Snowdonia and North Wales? Lots! Please take a look at our See & Do page for some more ideas, and give us a call if you need more information. So, whether you’re a keen walker, climber, cyclist, photographer, kayaker, steam-train enthusiast, history-buff, zip-liner, surfer or you just want to “escape to the country”, come and stay with us at The Ferns Guesthouse where you will receive a warm welcome in one of UK’s best kept secrets – Snowdonia, North Wales! 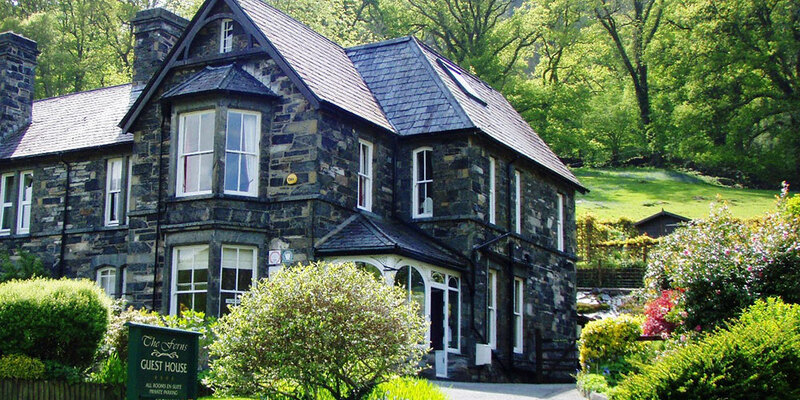 The Ferns Guest House, Holyhead Road, Betws-y-Coed, Conwy, LL24 OAN Wales.